You do probably know that WEG was screwed in tight with Star Wars novels and comics when they were publishing their game. WEG published sourcebooks for Truce At Bakura, the Thrawn Trilogy, and the like. And, they published sourcebooks for the Dark Horse comics stories of Tales of the Jedi and Dark Empire, and such. But, did you know that the writers of the 1E core rulebook tipped their hat to the original Marvel comics, too, which had been published a decade before the RPG came out? You will see that influence if you look at the templates section of the original core book. 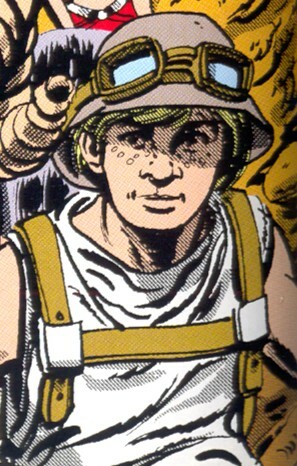 The Kid, Quixotic Jedi, and a few other templates were inspired by characters seen in the early issues of the Star Wars Marvel comic. Look for characters like Don-Wan Kihotay, the original Quixotic Jedi! And, the Star-Killer Kid, inspiration for the Kid template!